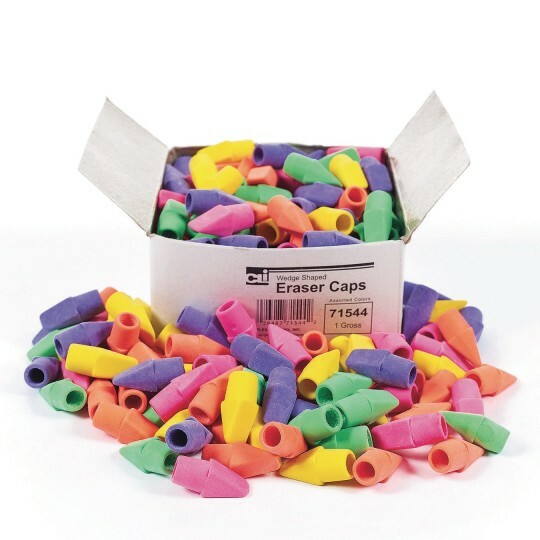 The classic pencil cap eraser. Everyone makes mistakes, but you can fix them with these classic Pencil Top Erasers. Students will love this Pencil Top Eraser Value Pack in bright vibrant colors and how they extend the life of pencils. Erasers are wedge shaped and fit all standard size pencils. Latex-free.